March 8th, 2015 was officially International Women's Day. 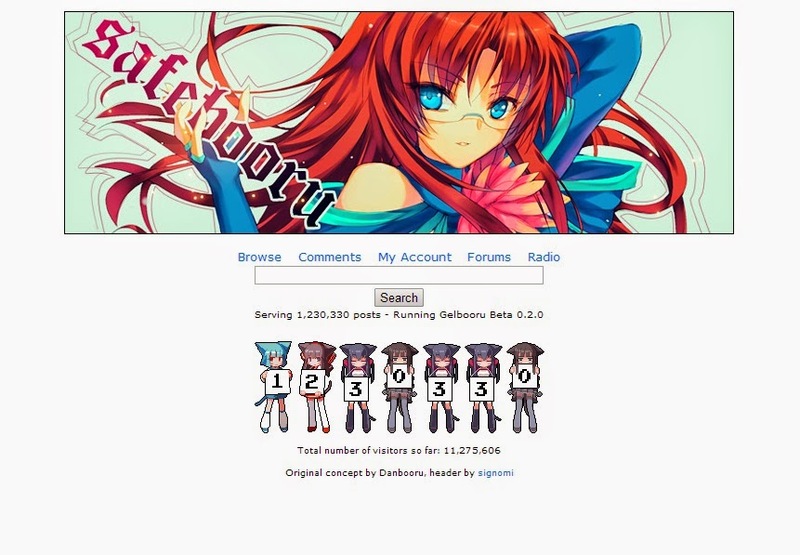 Unfortunately, I was unable to get a post out on that day, containing a few of the amazing females present in anime. 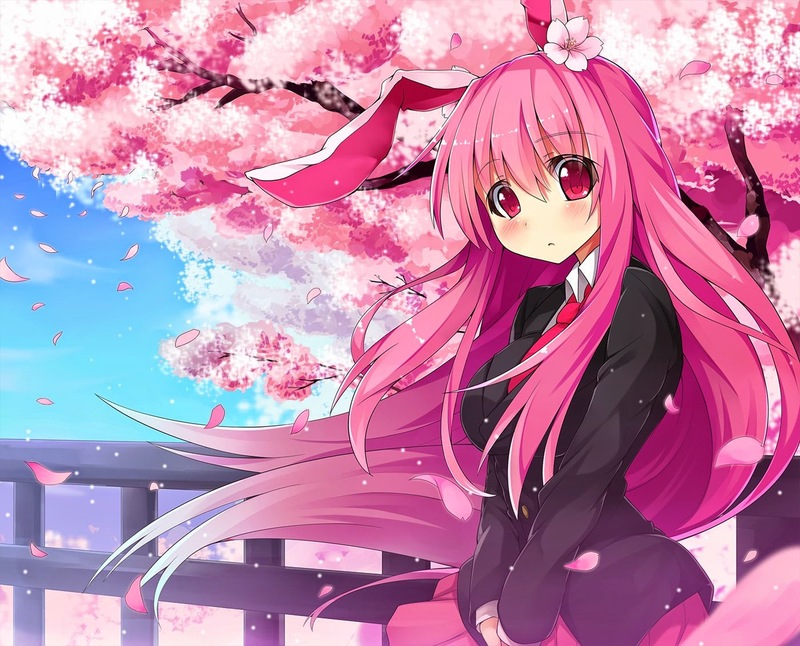 Although anime may be criticized for it's sexism and different stereotypes, you have to admit that anime appeals to many women, which means it's doing something right. So with that in mind, I felt today would be a good day to share three female characters that are progressive, inspirational, and most importantly, great role models for women. Still, you might be asking, why anime? Why not focus on female characters in all media? 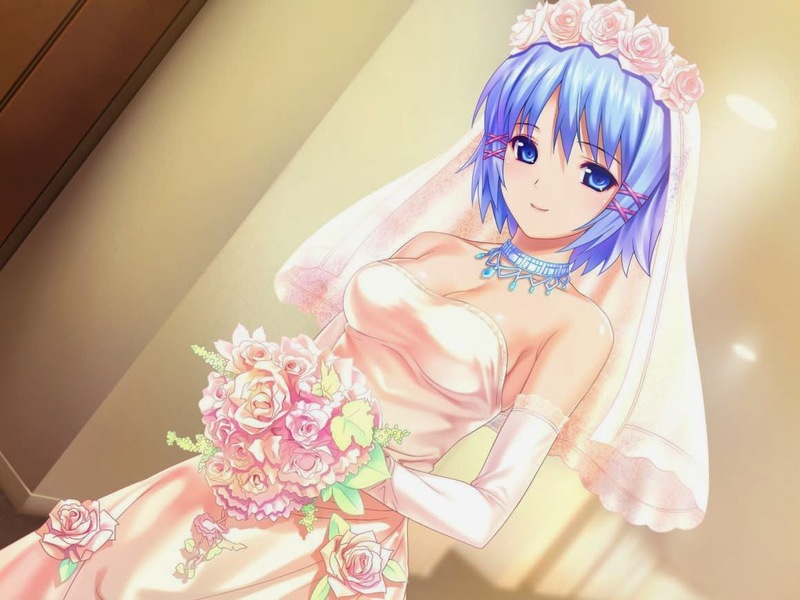 The answer is simple, anime portrays females a bit differently than other parts of fiction would. For many creators, the path to creating a strong female character, is to make them more masculine. We've seen it in many series, girls who can fight and get rough like the males. There are girls who aren't afraid to make use of foul language, and some that even resemble a man. While I cannot say that this isn't a good way to empower women, I feel that it isn't always the best way. To prove this, I have a couple examples of characters that aren't tough and manly, but ones that aren't limited to the role of damsel in distress. The following list is in no specific order, all the characters are just as important as the one before or after. This list is also taken from my knowledge of anime, where characters I don't know are not featured. A lot of this is based on what I've gathered from my experiences of anime, so it is okay if you do not agree with my descriptions and opinions. Hinata wasn't the loudest or most outgoing person, in fact, she isn't even part of the main trio of Naruto. Despite this, Hinata is very popular among fans, not only for her personality but for her actions in the series. She's quiet and reserved, but she can speak up when need be. She's dressed in clothes that aren't flashy and she isn't even one to try to flaunt her looks for other guys. People might say she's boring, weak, or somewhat similar to the typical Japanese female, but I believe there's a lot about her that stands out as well. A specific trait is one that she shares with Naruto, the guts to never give up. Even though she was one of the underdogs of the group, she continues to work hard, while still maintaining a kind and helpful attitude towards others. This has impressed characters that are considered clueless such as Naruto, leading to her respectively gaining much of his respect. I feel Hinata is a really unique character. Unlike most characters that fit into the shy stereotype, she develops in a much different way. For females of this group, usually they end up facing a situation that pushes them out of their quiet nature, as they undergo a transformation that may be favorable or unfavorable. Others simply change their personalities for certain reasons, such as simply cutting hair. 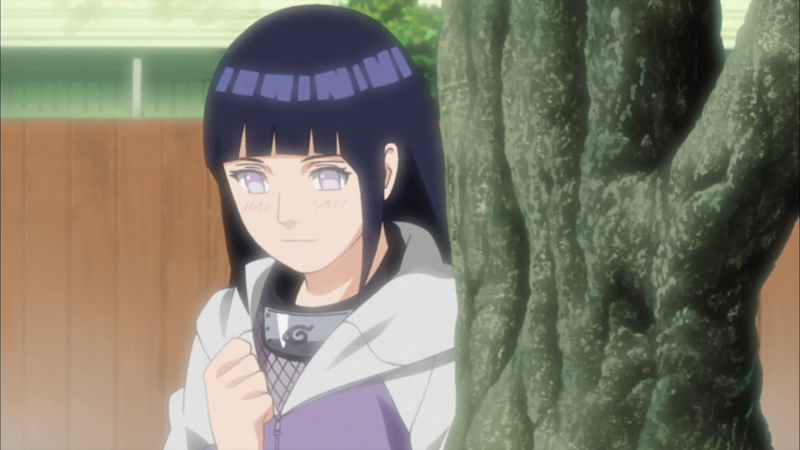 Hinata, however, retains her base personality throughout the series. This does not mean she doesn't develop, but she instead builds on her basic self instead of taking on a new persona. I feel this is a better way to go about characterization, as changing personalities completely is somewhat unrealistic, and implies the stereotype that extroverts are better the introverts. From this I can say that Hinata is a very inspirational character, not only as a female, but in general. She breaks many stereotypes, and proves that a strong female does not have to be masculine, burly, and rough. She also stops the hair-cutting trend in anime, which in my opinion is a little overused. So I feel that Hinata is an inspiration the underdogs out there, or even the quiet people like me. No she's not Sonic the Hedgehog, but Super Sonico, a popular character from Nitroplus. Unlike a good amount of anime characters, she's not too thin or frail. Instead, she's more on the chubby side, while still maintaining a good appearance. She also is known for her headphones that she keeps on literally all the time. 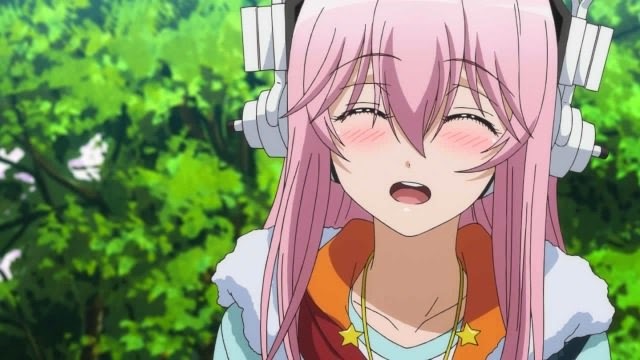 With these traits, Sonico has captured the hearts of both males and females. However, physical appearance is only the start for Sonico. She also represents a lot more than just a heavier anime character, as she is also one of the few that are actually depicted in college life. What's even more inspiring, is that fact that she balances all kinds of activities as well. Sonico at this time is a singer and guitarist in her own band, and she's also a gravure idol as shown in many of her video game titles. When she's not busy doing those things, she's helping out her grandmother's restaurant in order to repay the kind deeds she's done for her. Although she has mishaps, it takes a lot of skill to have a balanced life. Despite all these things, people can say that Sonico is not inspirational, due to her gravure idol career and the fact that she makes money using such methods. However, I feel that there's nothing wrong with being an idol, model, or any similar profession. I think that it lets us know that Sonico is comfortable with her appearance, and has a healthy self-esteem. With this being said, I greatly feel that Sonico is also an inspirational character. Similarly to Hinata, she isn't very masculine and could even be considered girly, but she doesn't let these traits stop her from fulfilling her goals and dreams. She is also very content and happy with her bodily appearance, even though she does not fit society's "perfect size." I think she's a very good role model for anyone struggling with self-esteem or body image problems, no matter their gender. Honoka, the most recent character of the group, is probably one of the most inspirational characters I've seen in my life. Few people I know can maintain their optimism and drive to succeed, despite being faced with obstacles that are seemingly impossible to conquer. Especially when they lack the support of those around them. This explains Honoka's beginnings in the anime when she told her friends and family that she wanted to become an idol, in order to keep her high school from closing. They felt that the idea was ridiculous and refused to take her seriously. Others thought it was a joke. It was somewhat sad watching Honoka in this light, as I could greatly relate to her. 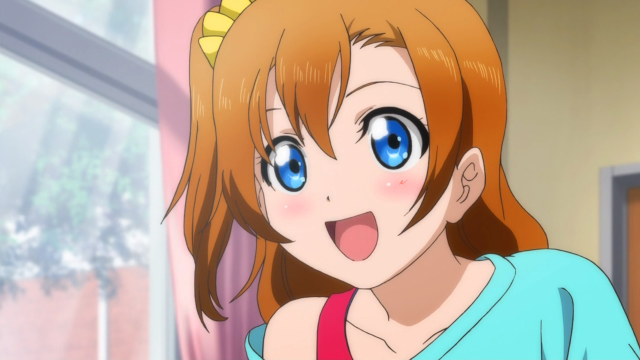 However, Honoka was serious and she was determined to make her dream of becoming an idol a reality. So she worked hard on her own and eventually gained the support of her friends and family, although there was still a bit of opposition along the way, they were able to work through it without many problems. 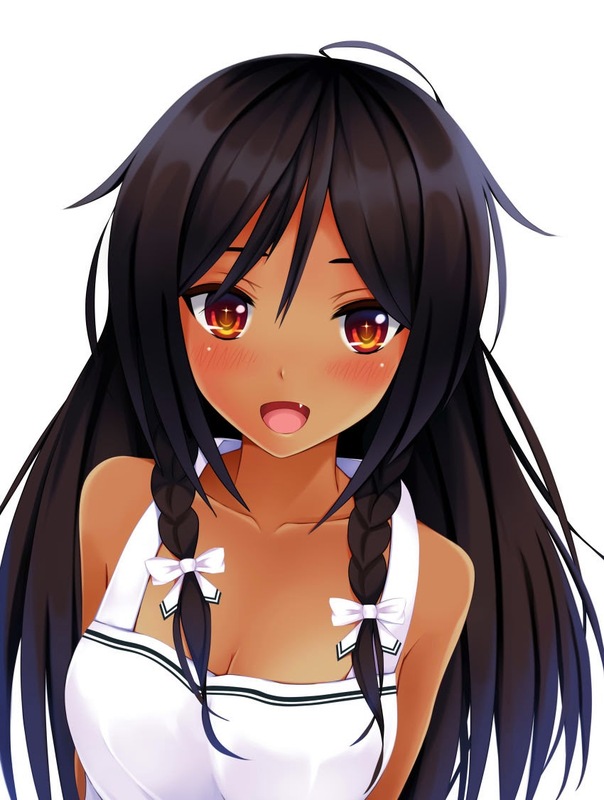 Many of the other characters consider her to be the driving force of their idol group. So what can we learn from Honoka? Well, there's many things. For one, never give up on what's important to you and never let go of your dreams. Even if someone else doesn't agree with them, you have to do what you feel is right. When you're headed in the right direction, I think you'll know it in your heart. However, when we're doing this we have to maintain respect for those around us. Honoka never treated those around her in a mean fashion when they didn't believe in her, but she made her point firm and clear. Most importantly, I think that although Honoka isn't as unique or special as the other two characters mentioned in this post, she's probably one of easiest to relate to. She's just a normal high school girl, with no special talents or skills, but what sets her apart is the attitude that she possesses. If she lacked her optimism, drive, and helpful nature, she would not nearly be as successful as she was in the Love Live anime. So I think the ultimate lesson to take away from Honoka, is to maintain a good attitude and personality. You may not be an optimist, but continue to have a strong will that helps you fulfill your dreams, and even when you reach your dreams, you have to continue to be kind to others. 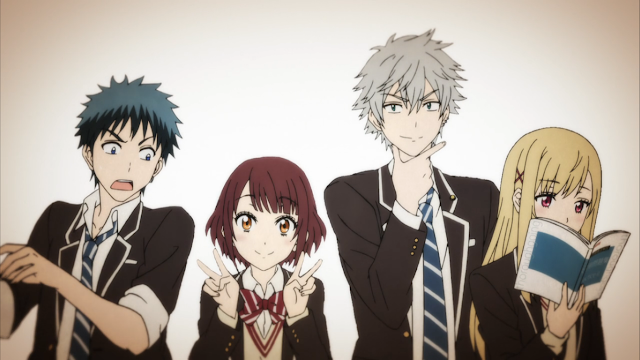 I hope you all enjoyed reading about these three anime characters, that I believe are extremely inspirational. Anime really does a good job of portraying successful women, so I thought it would be a perfect tribute to International Women's Day! 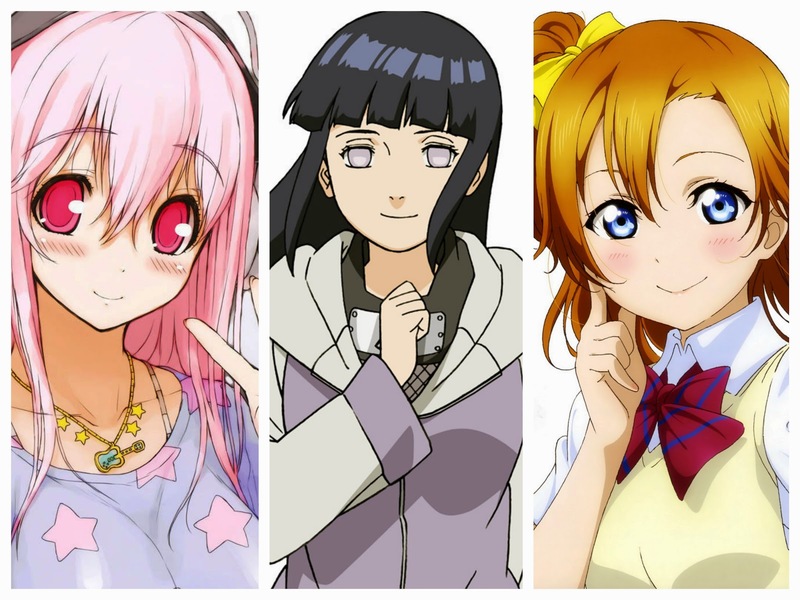 I also know everyone has different tastes when it comes to role-models, so let me know in the comments who your anime role-models are. Also, please tell me if you like representation of females in anime compared to other forms of media, or do you prefer more masculine or rougher female characters as a form of empowerment?